SheaXero homes offer solar panels to generate renewable energy and help offset energy consumption. As the builder behind the luxurious Trilogy active adult communities, Shea Homes has plenty of experience with what active adults want in a home. The Shea Green Certified homes have provided popular floor plans and energy-efficient systems since 2007. The builder’s new SheaXero package takes efficiency a step further to create a “no electric bill” home. Active adult homebuyers on a fixed income have to consider their expected monthly expenses along with the price of a new home. The SheaXero home is designed with a solar power system and a suite of energy-efficient features that eliminate monthly electric bills. The annual savings will vary from one area to the next, but Shea Homes estimates that a SheaXero home could save homeowners up to $3,000 each year. In real estate terms, this is known as a net zero home.To reach their net zero goal, SheaXero homes generate their own electricity with an advanced solar power system. They also have limited electric consumption with Jenn-Air Energy Star appliances and a Trane energy-efficient HVAC system with a programmable thermostat. Many other features throughout the home amplify the energy savings as well, such as low-E vinyl windows, blown-in wall insulation, insulated garage doors, compact fluorescent light bulbs, and light fixtures with motion sensors to turn off lights in unoccupied rooms. 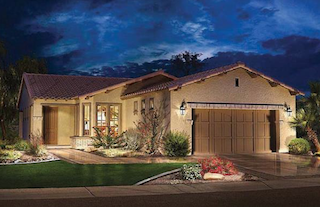 Trilogy at Monarch Dunes in California is a Shea Homes community offering the new SheaXero homes. Beyond saving on electricity, SheaXero homes feature solid construction and are eco-friendly, healthy, and intelligently designed to meet the needs of active adults. Appliances are designed to conserve water usage and certified wood from sustainable forests is used wherever possible. Fresh air ventilation systems keep homeowners breathing easy, while easy-access air filters make maintenance a breeze. Homes are also thoughtfully constructed with universal design elements such as open floor plans, ergonomic countertops, and accessible bathroom layouts. Garages even come equipped with 20-amp outlets on dedicated circuits for charging up electric cars and golf carts. The SheaXero upgrade can be applied to new construction homes in many Trilogy active adult communities. Homebuyers who are interested in these homes can explore the options in person at SheaXero Studios. These studios can be found at Trilogy active adult communities, including Trilogy at Redmond Ridge and Shea Homes at Jubilee in Washington; Trilogy at Rio Vista, Trilogy at the Vineyards, and Trilogy at Monarch Dunes in California; Ardiente in Nevada; Trilogy at Vistancia and Trilogy at Encanterra in Arizona; and Trilogy Orlando in Florida. 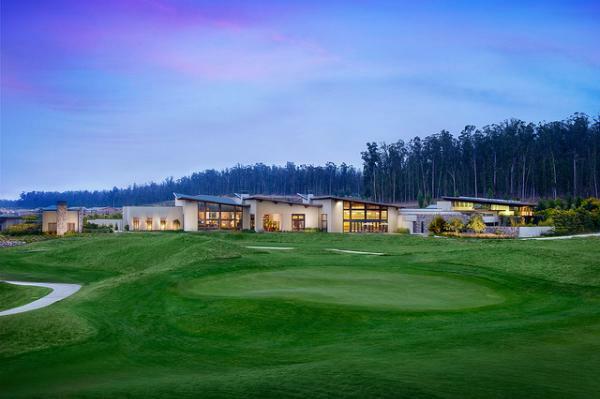 In addition to SheaXero homes, Trilogy active adult communities provide resort-style amenities designed to support a luxurious active adult lifestyle. Facilities and activities vary from one community to the next, but homebuyers can expect to find popular amenities such as state-of-the-art fitness centers, elegant swimming pools, full-service spas, well-equipped hobby and game rooms, and beautifully appointed restaurants and social lounges.